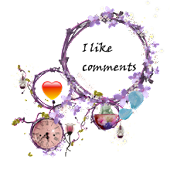 Wonderful to visit your blog and meet you.Please put my name in your draw, then take a minute to visit my blog, and I will add your name to win one of three prizes. Lovely to me you! Your site is really nice as I know you gift will be too. Hello from TX. I too love to craft with yarn and thread. I am happy to meet you! I enjoyed my visit at your blog. I hope you will visit me, too! I do not know what the prise would be, but photocollage in head is so cool! Greetings from California. I'm #96 on the list and would love to be entered. Nice to read your post, looks like you have a very full life. Hope you are enjoying the OWOH event and it's nice to meet you. Please stop by my blog for a chance to win too. hello from ohio. glad to meet you. i'm #220 hope you will stop by to see my prizes too. Love your winter fairy! That is so beautiful! Your entire blog is lovely. Please enter me in your drawing & stop by my blog to join in mine. Hi Loredana, Lovely to meet you!! Thank you for your generosity and a chance to win. Please stop by my blog and enter my drawing, I'm #323.
what a lovely blog you have. please enter me in your draw and come enter mine! 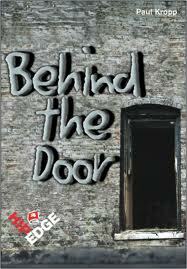 I love a mystery -a great giveaway idea.Drop by my blog and enter mine as well. hi, enjoyed visiting your blog! Aaaaa,i ti si se draga Loredana uključila!Sve pohvale!! !Bravo susjedo! Nice to meet you and your blog , your prize is just stunning !!! I would looooove to win your secret prize. Hello from Michigan! Your blog layout is beautiful! Hello from Cornwall, I love the look of your blog, keep up the great work! Kako je lijepo procitati ovako puno lijepih komentara. To samo govori i o kvaliteti bloga. I love surprises. I will check back to see if you give a picture of your door prize. I hail from Roanoke, Va. U.S.A. I am a sculptor. Please drop by for a visit to number 92. Oh, I love surprises. ope you have oodles of fun during OWOH. I've enjoyed it so much over the years seeing all of the wonderful blogs and meeting everyone. Thanks for your participation in the event. WHAT? A surprise...ohhhh I so love surprises!! ooohhhh a mystery!!! Please throw my name in your hat for your giveaway. I'd really love to win. 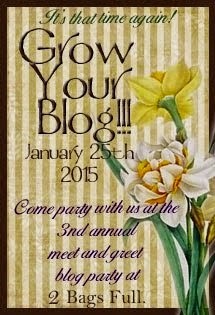 If you are out and about in blogland, drop by #521 and meet me!! I've enjoyed meeting you. Umesto dosadne i trovačke televizije moj večernji ritual za opuštanje je da pregledam blogove mojih prijatelja i prijateljica, to mi je hrana za dušu, a po nekad zavirim i na neki novi blog, uživam u lepotama, hvala ti što mi pružaš to zadovoljstvo. What an interesting blog! I'm sure whatever you give out as a prize will be a lovely surprise! Thanks for a chance win! Surprises are so much fun! Please stop by and enter my OWOH giveaway (#394). I am off to check out more of your beautiful blog. Nice to meet you, please enter me in your drawing! Hi Loredana, nice to meet you. Your blog is beautiful, I love the photo of the winter fairy. Thanks for giving me the opportunity to win your door prize! Greetings from Washington State, USA! I’ve had fun browsing your blog. I invite you to come visit me during your OWOH tour at #769. I have been to Croatia twice and love it! This summer we went to Riejka for the wedding of our exchange student, Petar. My daughter and I make jewelry and will have our OWOH up this weekend. Hope you will stop in! Hello from New Zealand. Please enter me in your draw - sounds interesting. I'll be back for a better look around once I finish my OWOH tour. I'm at #226 if you want to stop by. Very fun, Loredena! Your blog is charming! What a great giveaway. Please include me in your drawing. Oh, your giveaway is so pretty! Thanks for including me! Visit me when you time and enter my drawing. Thanks for the giveaway, I love lavenders and pinks! Hope you're enjoying the event! Che idea carina amica mia!!!! Ti auguro una felice serata!!! What an interesting door prize would love to be in with a chance to win! Greetings from Norway - so nice to meet you. What a great giveaway!! I would love to win!!! What a nice purple, lavender give-away your offering us! Please enter me in your wonderful giveaway - I would love to win your goodies. Thank you for your generosity. I hope to have my OWOH posted in the next couple of days so please visit. Please enter me in your giveaway too! Nice to see a friend and you have a lovely door prize. Good wishes to you and happy blogging. I love thread crocheting...wish I could do it. Please enter me in your drawing. Please visit my blog and see my giveaways. Thanks for your visit to my blog. Yours looks wonderfull. It is a pity I cannot read and undertand everything. I love knitting, please enter me in your drawing ! Hi there, hope you are enjoying the ride. Please call in on me at #100 if yu have a chance. I went to Croatia over three years ago. I was pregnant with my first girl. My husband and I were there on holiday with some friends and we loved every minute of it. We made a pledge of coming back in five years, so that means that in a couple of years I will be visiting you wonderful country again. It’s lovely to meet you Loredana. Thanks for the chance of winning your prize. Hello from Scotland. I visited Croatia many years ago (Pula is where I stayed) - I so loved your country and it is still very dear to my heart, for several reasons. I wold love to be included in yoru giveaway. I am #798 - would love you to visit my Blog "Adorn"
Hello from Singapore :) Beautiful blog ! Please include me in your wonderful OWH giveaway ! troverai il mio post dopo questa valanga di partecipanti? Volevo salutarti e ringraziarti per le tue graditissime visite ai miei blog! Thanks for participating in OWOH. Please enter me in the drawing - I love surprises. Wonderful blog! So nice to meet you! Greetings from the far NW of the US! It's amazing to meet and make friends so far away through our blogs! It's wonderful to meet you! Glad you joined in OWOH! lavender is my favorite color!!! lovely gifts! lorendana, I would love to win your lovely threads. Count me in! Please visit my blog, too. I am the author of "16 x MOM: A Mastery of Motherhood." I am giving away my book and a couple of laminated 4 leaf clovers. We are planning a trip to Croatia next summer! Hi, thanks for your visit to my blog. Please add me to the list for your draw. Hello, it's nice to meet you and see your blog. Your giveaway is so beautiful!!! I would love to win this useful items!!! What a special giveaway. I would love to win this! Thanks for entering me. What a beautiful name - it is 25 years since i visited your part of the world - i must go back! What fun and hello from Canada! Please enter me, lucky #870 on the OHOW list, in your give away! I am so excited to visit and explore your blog! Don't forget to enter my draw at HERE http://lenorita-lenoramoore.blogspot.com/2011/02/one-heart-one-world.html/ by February 17th! Thanks so much! Lenorita. Hi Loredana, how nice to be greeted by such a beautiful blog! What a fun giveaway. Please enter me in your giveaway and visit me, if you haven't already. I'm number 11 and my information is on my profile page. your gifts are wonderful! thanks for the chance to win them. I'm relaxed, I'm chilled out, hey I'm almost a winter fairy LOL! I'm pleased to meet you (I'm Shelle from Sunshine Coast Australia) If you have time (I don't think I've seen you visit, but could be just dazed from dancing around the world LOL) I'd love you to come on over check out my giveaways & comment at my OWOH post too :) oh & please feel free to drop in now and then after OWOH if you're in the bloggersphere :) that'd be cool! Now let's enjoy this hurly burly wonderful One World One Heart EXTRAVAGANZA :) There's lot's more blogs, I feel like I'm in a marathon but I'm so pleased to I took a break here!! Up, UP & AWAAAAAAY!! Beautiful giveaway goodies! I love the color. I live in Ipswich, Massachusetts - north of Boston. I'm a jewelry artist of sorts, a watercolor painter, an upcycler, and an over all creative adventurer! Wow! Your winter fairy is amazing! I would love to win your gifts! Please enter me in your drawing, and stop by my blog to enter mine! Hello and greetings from Virginia. It is so very nice to meet you. I would love a chance to win your fabulous prize. Please throw my name in the hat.